Using the part number 14207-38, this Jabra Noise Guide Cubicle Mount can be used to install the device in a more professional setting that is comprised of several cubicles for workers. With the cubicle mount, the innovative Jabra Noise Guide can easily be used in offices and help the productivity of company improve in the process. Take out your phone right now and dial Australia wide 1300 088 088 hotline to get more details about this product today. 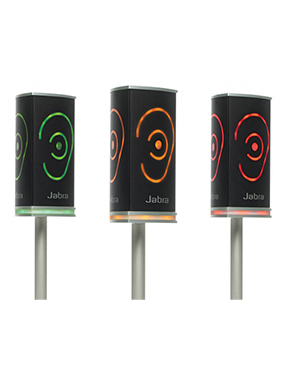 Jabra Noise Guide is an excellent device that can help users manage noises and in the process be able to improve their productivity and efficiency at work. The device promotes the belied that when the noise level falls, producitivity is bound to rise. And with open offices delivering incredible noise despite being increasingly popular in today’s market, the device is meant to enjoy the improved team communication and engagement brought by open-plan offices but manage the high level of noise the comes with it. 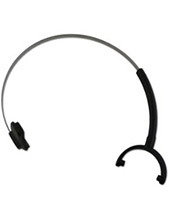 Leading the entire GN Netcom, Jabra Corporation is one of the best makers and marketers of hands-free communications headsets and solutions in the market today. One of the frontrunners in the market, the company has approximately 1000 employed experts working under the management, whether it is in manufacturing or sales. Jabra takes pride in its award-winning product line, which received a lot of recognitions, including CNET Editor’s Choice, T3 Gold, Red Dot Mobile Choice Best Accessory, iF Product Designs, and CES Innovation. 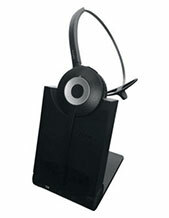 The company is even responsible for developing one of the bestselling Bluetooth headsets in the market today. Besides being involved in original equipment manufacturing business for mobile phone, PDA, and PC manufacturers, Jabra and GN Netcom, is also popular for catering to the complex and demanding communication requirements of contact centres. 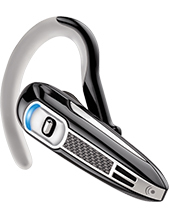 The company is also famous for the cutting-edge technology it has integrated in its headsets and the comfort these headsets provide their users.